“Local Artist Marries Digital World with the Natural in Exhibition TRADIGITAL VISTAS” by Asia Morris/Long Beach Post. Read complete article here HERE. 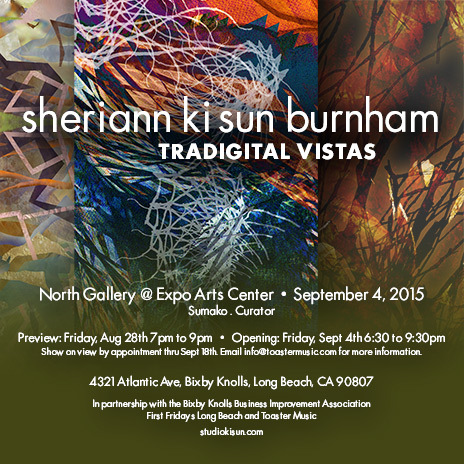 “Artist Sheriann Ki Sun Burnham Blends Digital And Natural” Interview by Sander Roscoe Wolff/Long Beach Post. I’m excited to participate in the 2015 Mid-City Studio Tour, showing at Greenly Art Space, June 6 & 7, 2015.